Philip wrote: Ck out the USN's pos. config for a new naval stealth bird.AMCA should take a look at this config. USN will put together a fighter based on whatever technology their sister service de-risks through its own activity. They don't have the leadership buy-in to support large NAVAIR projects. The USAF has committed to more than $5 Billion in Research and Development for a next-generation fighter even at this early stage. The USN so far has committed practically NOTHING to it. Moreover, one would have to go back decades to actually find a Navy designed fighter that successfully transitioned from development to operational use. They've been piggy backing on USAF research for a long time and that won't change in the near future either. Both the CAW and the CAF capability has been dialed down post the cold war (justifiably so) given that the threat largely went away. This has been more apparent on the Carrier Air Wing side since they replaced their fleet protection fighter with a strike fighter. Do they want to go back and recover the mission sets they performed during the cold war? I'm skeptical since it will come at a cost and air-wing diversity that I do not see the Navy leadership supporting in the long term. The attitude prevalent at the moment seems to be - "That's the Air-Force's job". But anything could happen, the next lot of leadership could begin to realize that they may have to kick NAVAIR investment up a notch just as their predecessors saw decades of Counter Insurgency ahead of them and dialed it down to support that mission. But at the moment they don't appear to have the culture, attitude or the appetite to embark on a cutting edge air-superiority platform for offensive or defensive counter air among other things that a SH/Growler replacement needs to perform. The US Navy (USN) has demonstrated the ability to carry and launch Tomahawk cruise missiles from a Block III Virginia-class submarine fitted with the new Virginia Payload Tube (VPT). The test, which took place in the Gulf of Mexico, near Florida, saw the USN fire two of the Raytheon cruise missiles from USS North Dakota (SSN 784). This is the first time the navy has employed Tomahawk missiles from a VPT. Raytheon announced the tests on 18 July. “These were box stock Tomahawk Block IV missiles employed on a number of other submarine classes today,” Dave Adams, senior director for Tomahawk at Raytheon, told Jane’s on 19 July. The tests were done to prove out a number of submarine systems and monitor the pressure effects and the impact to adjacent tubes during the firing of the missiles, he said. Adams noted that the changes the USN is making to the Virginia-class boats will provide for a more effective employment of the missiles. The VPT introduces a new arrangement where the USN is replacing 12 individual launch tubes on the submarines with two six packs that are in a rotary configuration. “[It is a] more effective way for the navy to implement Tomahawk launch capability on to that Virginia -class platform,” Adams said. While the Block III Virginia-class submarines will get the VPT, the Block IV and V boats will get the Virginia Payload Module (VPM). Each module will hold seven missiles. The VPM will be an extensive change to the submarine, Adams added. The navy will add four VPMs to each submarine for an additional capability of 28 firing tubes. “A Block IV and V Virginia class will have the capability of employing 40 Tomahawks and a Block III is at 12 missiles,” Adams said. The integration of the VPM will not require any changes to the missile, he added. “Those will be Capsule Launch system (CLS) Tomahawks as used on every other submarine." In addition to the recertification work, Raytheon will add a communications upgrade that the USN has been developing. “The Tactical Tomahawk [TACTOM] Advanced Communications Architecture (ACA) kits consist of the Integrated Single Box Solution [ISBS] radio, two new antennas and associated cabling, a new mid-body cover, and changes to the aft-body structure and aft-body cover. The ISBS radio is replacing the existing Satellite Data Link Terminal [SDLT] and the new Ultra High Frequency [UHF] antenna is replacing the existing UHF antenna. A second antenna is being added to the missile to accommodate a second frequency band. The changes to the missile are driven by the obsolescence of the SDLT hardware and the obsolescence of the UHF Demand Assigned Multiple Access [DAMA]communications infrastructure that is being phased out of service,” according to the navy’s fiscal year 2018 (FY 2018) budget request. Additional upgrades to Tomahawk include a new maritime strike capability that will deliver a new seeker to the front end of the missile, enabling it to take on a surface warfare capability that it did not previously have, Adams said. Tomahawk will also receive an upgrade to its GPS navigation incorporating a new and more robust signal called M-code, or Military Code. The missile will also get an upgrade to its warhead referred to as the Joint Multi Effects Warhead System (JMEWS). JMEWS would enable Tomahawk to be used as a ground-penetrating missile for striking hardened targets; to provide an enhanced blast against classic Tomahawk targets such as a command-and-control node or air-defence sites; to create an air blast for use against a soft target such as a line of aircraft on the tarmac; and to provide an augmented blast function, which uses residual fuel to enhance the blast of the current 1,000 lb (453 kg) warhead. Tomahawk recertification and incorporation of the new radio upgrades will be implemented in 2019. 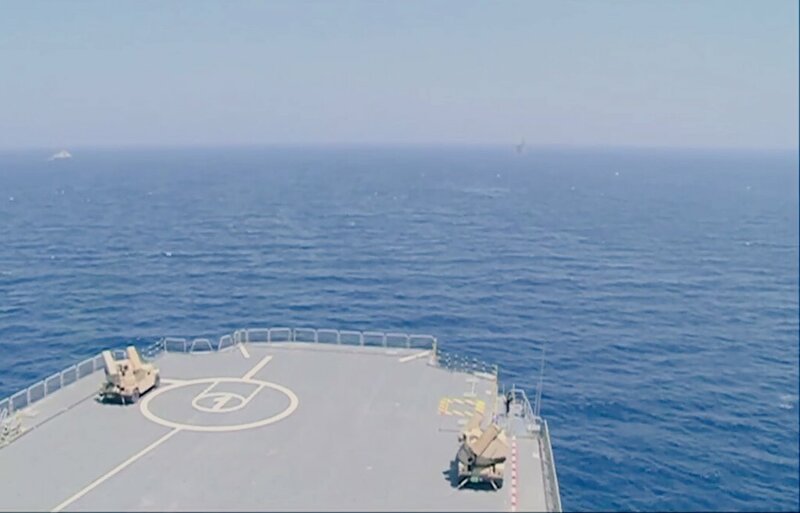 The maritime strike improvement, which was funded in FY 2017, as well as M-code and JMEWS, are all targeted for initial operational capability in FY 2022, he added. “The four elements of modernisation are all in various stages of maturity. The communications [upgrade] is well under way, maritime strike is about two years behind communications, and then JMEWS and M-code are brand new funded in FY 2018,” Adams said. Sad. The US Navy was at the height of its aviation prowess in the 1960s when three USN programs -- the F-4, AIM-7 and the AIM-9 -- was adopted by the US Air Force as its main fighter and A2A weapons. Yes, the modern missile armament with radar-guided BVR (AIM-7 Sparrow) and dogfight heatseeker (Sidewinder) was a package of Navy projects. The A-7 Corsair was another Navy project was adopted by the Air Force. Price for being too dominant in a post-Cold War era. Requirements usually lead them to a direction. Imagine had they not dialed the CAW down post cold war and had opted for a high end F-14 variant or the N-ATF. They would have literally flown themselves bankrupt in ops over Afghanistan, Iraq and Syria. While the F-35C is an appropriate strike fighter replacement for the F/A-18A-C, the Super Hornet was never a one for one replacement for the F-14. They simply put that enterprise on back burner and purchased something affordable that they could field in quantity. This will obviously have to change but how far they go in terms of investing in NAVAIR technology to advance this end remains to be seen. Unlike the sub surface and surface domain they do not exclusively own this domain so as per their wisdom its better to let the USAF invest in advancing the needle. But generally, when China begins to field a few dozen J-20 a year and when they reveal their first survivable bomber things will change. The post 2030 carrier-air wing will have to reflect this and the lost F-14/AIM-54 like capability will look a lot more attractive...how far it goes remains to be seen. The USN still owns the close in missile program. Aim-9X is their baby, and so will its replacement. Last edited by brar_w on 25 Jul 2017 14:39, edited 1 time in total. The $12.9 billion USS Gerald R. Ford, which can carry about 5,000, is the first new US aircraft carrier designed in 40 years. Of course, a lot has changed in 40 years. For one thing, it’s not uncommon to find women serving aboard such carriers these days. Women account for nearly 20% of the sailors in the US Navy. So, the ship’s designers adapted to the new reality. According to the Navy Times, the Ford has no urinals—only seated toilets with stalls. Urinals have their advantages. They take up less space. They allow men to relieve themselves while standing, without creating a hygiene problem. Many men will no doubt opt to stand despite the option to sit—and create a smelly mess when they miss the target. Philip wrote: EMALS flaw detected. The General Atomics-built Electromagnetic Aircraft Launch System (EMALS) installed on the first-of-class nuclear-powered aircraft carrier USS Gerald R Ford (CVN 78) is being "fine-tuned" to overcome a vibrational issue associated with optimising the launch and recovery of different aircraft appropriate for their configuration, Acting Secretary of the US Navy (USN) Sean Stackley stated at a congressional hearing on 16 June 2017. "Today they're renewing that testing at Lakehurst in advance of when we'll first do launch and recovery operations on the Ford, later [in mid- to late-2017]," Stackley said. NAVAL AIR SYSTEMS COMMAND, PATUXENT RIVER, Md. – The Electromagnetic Aircraft Launch System (EMALS) team completed testing at Joint Base McGuire-Dix-Lakehurst, New Jersey, early this summer, validating a software fix that will ensure safe launches. A total of 71 EMALS launches were conducted by the EMALS Team and the Air Test and Evaluation Squadron (VX) 23 to confirm F/A-18E/F Super Hornet and EA-18G Growler outfitted with wing-mounted, 480-gallon external fuel tanks (EFTs) can launch without exceeding stress limits on the aircraft. The post-test review of aircraft instrumentation data, following the manned aircraft testing, indicates that software control algorithm updates have corrected the issue. The issue was initially discovered in April 2014, when a review of aircraft instrumentation data following System Development and Demonstration (SDD) Aircraft Compatibility Testing revealed that holdback release dynamics exceeded current fleet allowances during launches of these aircraft configured with the wing-mounted EFTs. While the aircraft met its programmed end speed and launched without incident, the post-test data analysis led to a deficiency report, which was cited as a concern in the annual Director, Operational Test and Evaluation (DOT&E) report on the USS Gerald R. Ford (CVN 78), the first to employ EMALS. He explained that the EMALS team promptly planned a resolution for further tuning of the system’s control algorithm, which would reduce the loads on the EFTs to within established operational limits. All design, development, software coding, laboratory testing and dead-load testing, using weighted, aircraft-representative sleds, was completed in 2015. Since several other software updates had occurred since the fix was originally established, in April of this year, the team loaded the software build intended to correct the deficiency and conducted an additional 152 dead-load launches at the System Functional Demonstration Site to support flight test readiness. The final step of testing the fix with instrumented aircraft launches was delayed a year due to competing test priorities, but is now complete. The subsequent software will be incorporated on board CVN 78 to support shipboard launches of F/A-18s with EFTs in 2019, following the ship’s Post Shakedown Availability. Hyperbole aside, hopefully this can help in demonstrating that a "DISCOVERY", need not be a major design flaw. There are literally hundreds if not thousands of discoveries on major developmental undertakings..hence the protracted test and evaluation period where you discover, fix and then verify exactly like this particular case demonstrates. Britain plans to sail two new aircraft carriers through contested Asian waters at a time of rising tensions between China and the US. Boris Johnson, foreign secretary, said on Thursday that Britain was stepping up its commitment to the Asia-Pacific region following its dispatch of Typhoon aircraft to Japan and South Korea last year. “One of the first things we will do with the two new colossal aircraft carriers that we have just built is send them on a freedom of navigation operation to this area,” he said in Sydney. HMS Queen Elizabeth is due to come into service in 2020 but HMS Prince of Wales is not due until 2023. Mr Johnson said the aim was “to vindicate our belief in the rules-based international system and the freedom of navigation through those waterways which are absolutely vital to world trade”. Shi Yinhong, an international relations professor at Renmin University in Beijing, said: “This kind of action is not helpful to the relationship between China and Great Britain. China will be very much displeased. This shows that Britain might be changing its quite favourable attitude based on highlighting economic relations”. brar_w wrote: Requirements usually lead them to a direction. Imagine had they not dialed the CAW down post cold war and had opted for a high end F-14 variant or the N-ATF. They would have literally flown themselves bankrupt in ops over Afghanistan, Iraq and Syria. While the F-35C is an appropriate strike fighter replacement for the F/A-18A-C, the Super Hornet was never a one for one replacement for the F-14. They simply put that enterprise on back burner and purchased something affordable that they could field in quantity. This will obviously have to change but how far they go in terms of investing in NAVAIR technology to advance this end remains to be seen. My god, the YF-23 still gives me chills. One of the most beautiful and lethal looking fighters ever. Too bad the Navy could not save it like the YF-17 (F-18 Hornet.) The PAK-FA has some of the same lines. The two vessels of the 25DD-class are built by Mitsubishi Heavy Industries (MHI) in the Nagasaki shipyard. The Asahi-class is an anti-submarine warfare (ASW) class of destroyers based on the existing Akizuki-class (19DD) of destroyers which is more focused on AAW. The vessel displaces over 5,000 tons for a length of 151 meters, a width of 18.3 meters and a draft of 5.4 meters. The Asahi-class is uniquely fitted with a COGLAG (combined gas turbine electric and gas turbine) propulsion system, a first for a JMSDF surface combatant. The benefit of the COGLAG configuration is is that it provides sufficient power at greater efficiency for current and future weapon systems. Another key feature that makes the Asahi-class unique: its sensor suite. 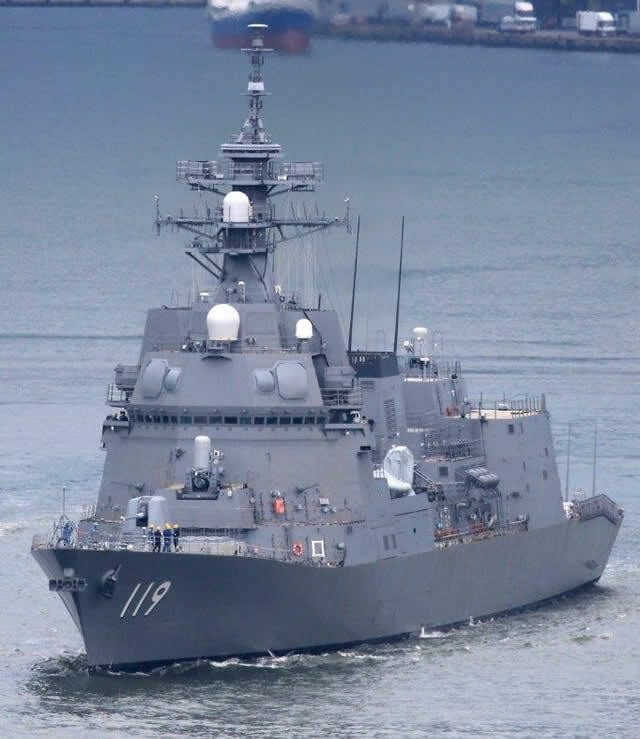 To our knowledge, Asahi is Japan's (and incidentally, also the world's) first warship to be fitted with an operational GaN-AESA (gallium nitride - active electronically scanned array) Multifunction Radar. Asahi's radar is based on the FCS-3A AESA radar system but uses GaN technology for improved performances. FCS-3A comes with 4x C-band and 4x X-band arrays (two forward and two aft for each). The sonar suite consists in the OQQ-24 hull mounted sonar and OQR-4 variable depth sonar. 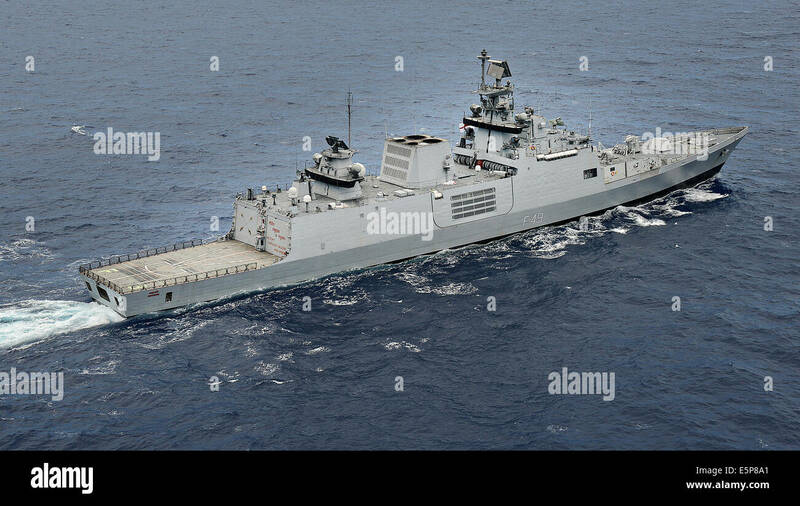 In terms of weapon systems, the Asahi-class is fitted with 32x Mk41 VLS cells forward for ESSM SAM and Type 07 VL-ASROC, 8x Type 90 anti-ship missile launchers and 2x triple torpedo launchers. 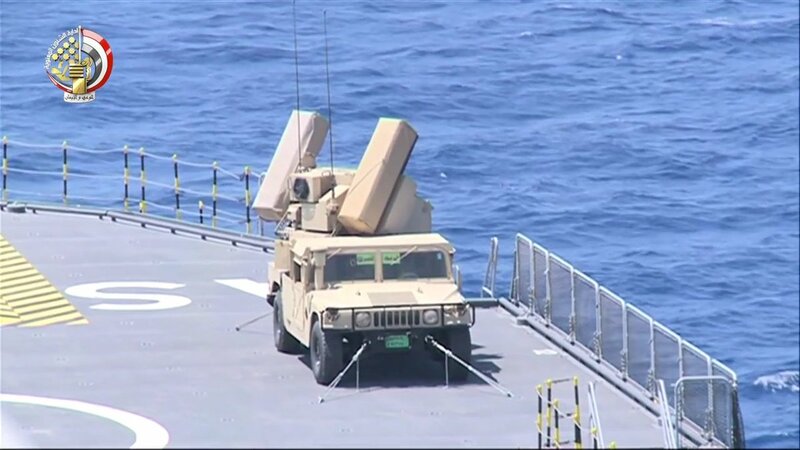 Future weapon systems "may" include the XSSM anti-ship missile, the XRIM-4 surface to air missile (in development in Japan to replace ESSM, it features an AESA seeker), a long range naval gun ammunition currently under research and the new Type 12 light weight torpedo (project G-RX 5). Yes,it's pity that the USN wants to ride "piggyback" on USAF birds. decades ago,the USN's variety of naval fighters was the envy of the world.Skyhawks,Crusaders,Phantoms,Tomcats...until the F-18 arrived,developed from the loser to the F-16 in the USAF fighter stakes. Having spent so much money on the JSF,the USN will have to buy a decent number,but will have to look to the future for another fighter,which may have to complement the stealth UCAVs under dev. like the X-47B. A stealthy raked flying wing design could poss. be tweaked for the USN.Shs can soldier on as "bomb trucks" for PGMs as former CNO Adm. Greenert mentioned. USN has actually not spent "so much money on the JSF". They are getting a very good deal with their sister service, along with the international customers subsidizing both development and bringing in economies of scale. This compared to something that they would have had to pursue on their own. Their current program of record for 680 aircraft (F-35B, and F-35C) is estimated at around $75-$80 Billion, which comes to around $125-$130 Million unit cost which is at par or below what other Navies or Air Forces around the world are paying for advanced 4+ generation aircraft let alone 5th generation aircraft. I mean, how much is the IAF or Egypt paying per unit for the Rafale? What about the Kuwaitis for the Typhoon or the Brazilians for the Gripen-E? All of these services are spending far greater amounts with a SIGNIFICANTLY smaller budget (relative to the USN) on acquiring older gen. aircraft. Not to mention that unlike the F-18 E/F which was not a like for like replacement for the Tomcat, the F-35C is by all accounts a very capable replacement for the classic hornet enterprise. In fact they could replace even early Super Hornets with the F-35C and end up with a significant net gain in capability for that strike fighter portfolio. More survivability, more lethality, and greater range and loiter plus the ability to fully network with the sister service and other partners. A clean sheet 5th generation naval fighter with a sub 500 production run (USMC still would have retained the STOVL) even with N-ATF based design would have likely come at an APUC of 50-100% higher than the navy's JSF purchase. Money saved by letting the AF carry the financial burden of maintaining high volume production rate (by buying 2-3 squadrons worth of aircraft a year) saves them a ton of money that they can then pour into their SSN, SSBN, Destroyer and Cruiser modernization strategy. But as far as new starts and high end capability is concerned..A N-ATF or a clean sheet F/A-18C replacement (as opposed to JSF) would have been tough to justify in the absence of the Soviet Union. Like I said, with China likely to churn out heavy 5th generation fighters at a decent pace or survivable bombers/UCAVs, a 2030s Carrier Air Wing may look a lot different, and they may have to think about getting the F-14 like capability back. It won't be cheap, and they'll have to divert money from surface and sub-surface enterprises but it would likely be the cost of operating under such a threat. They've done it before and they can do it again..it all comes down to leadership and their buy-in to support the CAW. Right now they are heavily focused on fleet replacement of the geriatric Hornet and building advanced networks. With the MQ-25 they'll be getting mission tanking back to the air-wing (as opposed to just recovery) as well so that is a good start. But from a strategic and leadership level there are those within the USN who think that ensuring access against a high end threat is the domain of the AF and that they really shouldn't be spending money towards it. Both the previous CNO and the current one have been reluctant to pour money into NAVAIR for this purpose given other competing priorities that like I said earlier are exclusively owned by the Navy. Last edited by brar_w on 28 Jul 2017 18:42, edited 1 time in total. the YF23 remains one of the most supremely beautiful fighters ever. the trapezoidal wings are a unique style statement. Represents the first on ship trap for the Advanced Arresting Gear and first launch at sea from the EMALS. A data point worth nothing (H/T to Craig Hooper) - Not since 1982 (CVN-70) has a USN carrier trapped and launched an aircraft under a week post commissioning. Last edited by brar_w on 29 Jul 2017 20:52, edited 4 times in total. Saar in the end of the video they do launch the plane back ino the air. chiru wrote: Saar in the end of the video they do launch the plane back ino the air. Six days after commissioning, the crew of USS Gerald R. Ford (CVN-78) launched and recovered their first aircraft from carrier’s flight deck, according to a statement from the service. The recovery of the F/A-18F Super Hornet from the Navy’s Air Test and Evaluation Squadron VX- 23 occurred at 3:10 P.M. EST off the coast of Virginia. Lt. Cmdr. Jamie “Coach” Struck’s Super Hornet hit the number two wire on the Advanced Arresting Gear systems and then launched a little more than an hour later using the ship’s electromagnetic launch system (EMALS).The test came as a surprise to many naval observers who expected the first arrested landing on Ford to come sometime next week. Long road ahead over the next couple of years as they work their way through IOC and FOC, but they are up and running now. More details in the video below. They did four traps and four launches plus a touch and go during this outing. The ship then returned to Norfolk. just curious .. do they have enough planes in those "colossal warships" ? They have a roadmap that matches their strike fighter need with their ship's IOC and first deployment. The first deployment will also involve RN/RAF and USMC fighters with other RN assets. Their CONEMP places 24 F-35Bs on the QEC on a routine deployment and 30+ during surge demand. In addition to the non test jets they currently have with them and will be bringing back to the UK next year, they are currently allocated 18 additional aircraft in LRIP-11 through 14 which should get them their CONEMP requirement for the first QEC vessel by the time it is declared fully operational. There are 2 other images in that tweet. I have a few noobie questions. TIA. - What are the advantage and disadvantages of having exhaust designed like Japanese ships? - Why Japanese ships have 2 exhausts (if they are not exhausts, pardon me for my ignorance). The US Navy (USN) used its General Atomics-built Electromagnetic Aircraft Launch System (EMALS) and Advanced Arresting Gear (AAG) to launch and recover an F/A-18F Super Hornet for the first time on board first-of-class nuclear-powered aircraft carrier USS Gerald R Ford (CVN 78), while under way on 28 July. According to the US Naval Air Systems Command (NAVAIR) announcement, the newly commissioned Ford held a brief test on 28 July and the AAG and EMALS "figured prominently in the flight operations, which comprised four arrestments and four launches". These were performed during "limited risk reduction testing", while approximately 75 of each will be performed during Aircraft Compatibility Testing later this year, and hundreds more during the ship’s Independent Steaming Event (ISE) periods leading up to her Post-Shakedown Availability, according to the announcement. A spokesperson for the Program Executive Office for Tactical Aircraft (PEO[T]), Naval Air Warfare Center Aircraft Division (NAWCAD), told Jane's that the F/A-18F Super Hornet was equipped with one 1,817-litre (480-gallon) centerline fuel tank, and it had no weapons. The three AAG systems installed on Ford use electric (induction) motors and energy-absorbing 'twister' water turbines mounted on the same rotating shaft with a system below deck on both ends of a cross-deck arresting wire. EMALS's electric power system consists of six subsystems, and is intended to enable a higher degree of computer control to provide more accurate end-speed control and smoother acceleration, monitoring, and automation when launching carrier-based fixed-wing aircraft and is scalable to future carrier air-wing platforms, including lightweight unmanned systems or future heavy strike aircraft. Lieutenant Commander James Struck piloted the F/A-18-E/F Super Hornet from Air Test and Evaluation Squadron (VX) 23 and made the landing on Ford ’s flight deck and subsequently launched from Ford 's EMALS. According to NAVAIR, the intent of the brief under way period, referred to as ISE Alpha, was to "seize an available opportunity to exercise the new systems". Further testing to expand AAG’s Aircraft Recovery Bulletin, supporting the arrestment of all the aircraft types in the Ford-class’ full air wing, will continue at two land-based test sites on Joint Base McGuire-Dix Lakehurst, New Jersey, and sailors will continue to receive operations and maintenance training for the two systems. the DDG51 also has that dual funnel. 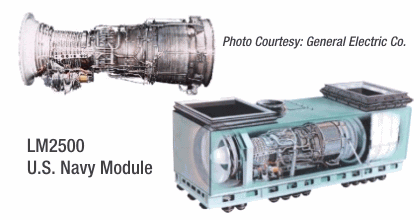 the azikuzi/ddg51 have 4 gas turbines, so I suppose 2 vent out of each shaft. the Shivalink and Talwar have 2 gas turbines so need only a single funnel. usually the gas turbine will be directly below the funnel. Isn't one of the funnels an air intake? 70 tons of kevlar is used in ddg51 to protect important areas. Air intakes and exhaust visible. 2 each for diesels and gas turbines. Like rudra says the grills seem to be intakes. This has been an incredibly successfully program for the USN and Raytheon. Approximately 4 years from contract award they are nearly done with the radar testing and have themselves a fully developed system that went early into Low Rate Production. They now have to sit and wait for the ship to be built and be ready since they did not require any margin built into their development and test schedule. Meanwhile the pace of the AMDR allowed them to move its scaled down variant left so that it can be mounted on the CVN-79 instead of CVN-80 as was the original plan. CVN-79 is now 50% structurally complete. Raytheon is likely to offer the big brother of the AMDR (aprox. 10,000 module variant) for the Hawaii based Medium Range Discrimination Sensor requirement where it is likely to go head to head against a scaled version of Lockheed's LRDR which is currently being built in Alaska. The radar bound for the Navy’s new Flight III Arleigh Burke guided-missile destroyers successfully tracked a complex ballistic missile target as part of a battery of tests to prove out the new system, Naval Sea Systems Command announced on Thursday. The Raytheon-built AN/SPY-6(V) Air and Missile Defense Radar (AMDR), based at the Pacific Missile Range Facility at Kauai Hawaii, detected and tracked medium-range ballistic missile target for the test on July 27, 2017, NAVSEA said. “We are continuing to stress this radar by increasing the range and complexity of the targets and demonstrating the… capability and versatility of the Navy’s next generation Integrated Air and Missile Defense radar,” said Navy Capt. Seiko Okano, major program manager for Above Water Sensors, Program Executive Office (PEO) Integrated Warfare Systems (IWS). The Vigilant Titan test is the second in a series of BMD tests for the systems that will replace the Lockheed Martin AN/SPY-1D(V) volume search radar resident on the current Flight IIA on the Navy’s Flight III variants of the Burkes. “The testing … has evaluated the radar’s ability to track satellites, aircraft, and ballistic missiles,” according to the June issue of Proceedings. AMDR promises 30 times more sensitivity than the current crop of SPYs and designed to find and track traditional air warfare and ballistic missile threats simultaneously for the new Flight III ships. First details of Northrop Grumman’s preparations for the MQ-25A bid have emerged in photographs obtained by Aviation Week of a modified X-47B at the U.S. Air Force’s Plant 42 facility in Palmdale, Calif. The photos appear to show the UAV configured with a wing air refueling pod (WARP) under the left wing and a drop fuel tank under the right wing. The aircraft also displays an aerial refueling probe over the right wing, which indicates this particular vehicle is likely AV-2/502, the second of two X-47Bs that flew in the Navy’s unmanned carrier air system demonstration (UCAS-D) program that wrapped up in 2015. Though details are difficult to discern through the heat haze, the WARP appears similar to the Cobham 34” (inch) series which operates over an air speed range of 200 to 325 knots. The power for the system, which can transfer fuel at 400 US gal/min, is provided by a ram-air turbine, which is clearly visible on the nose of the WARP. The pod under the right wing is thought to be a standard auxiliary fuel tank similar to the 330-gallon FPU-8 or 480-gallon FPU-11 drop tanks used by the F/A-18 Hornet and F/A-18E/F Super Hornet respectively. One photo also shows what appears to be an open access panel or possible housing for an electro-optical/IR sensor set in the upper fuselage above the centrally located engine inlet. Little has been seen or heard about the X-47Bs—dubbed "Salty Dogs" by the Navy—since their departure from Naval Air Systems Command’s Patuxent Rover, Md., facility back to Palmdale in January and February this year. The aircraft had been in storage since the end of the UCAS-D program, facing an uncertain future when Northrop took them back with the intention of using the assets as flying testbeds for future development programs. The appearance of the modified X-47B comes as the Navy prepares to issue a formal request for proposals (RFP) later this year for the MQ-25A, the service’s first operational carrier-based unmanned aerial vehicle. The call for proposals follows a draft RFP issued in June for a planned engineering and manufacturing development (EMD) contract award in 2018. The request, which is targeting the ability of UAV tankers to extend the range of carrier air wings from as early as 2019-2020, was sent directly to Boeing, General Atomics, Lockheed Martin and Northrop Grumman. The Navy's next-generation, surface warfare radar program -- the Air and Missile Defense Radar -- late last month successfully tracked a target during a developmental test against a medium-range ballistic missile, an assessment that builds on a test earlier this year to detect and track a short-range ballistic missile target. The flight test, designated Vigilant Titan, was the second in a series of flight tests slated for 2017 for the AMDR program, a $6.1 billion acquisition effort in development by Raytheon to be the centerpiece of the next variant of the Navy's Arleigh Burke-class destroyer, the DDG-51 Flight III. The test was conducted July 27 at the Pacific Missile Range Facility in Kauai, HI. The test is part of an ongoing series of events collectively called Developmental Testing-3, Navy spokeswoman Colleen O'Rourke said Aug. 15. In an Aug. 15 statement, Raytheon claimed the event involved a more complex target and was designed to challenge the capabilities of the new radar. "We are continuing to stress this radar by increasing the range and complexity of the targets and demonstrating the radar is meeting its performance requirements," Navy Capt. Seiko Okano, major program manager for the AMDR program, said in the statement. "AN/SPY-6 is the nation's most advanced radar and will be the cornerstone of the U.S. Navy’s surface combatants for many decades." The Pentagon's top brass directed AMDR be able to support integrated air and missile defense missions, including simultaneously defending against multiple incoming ballistic missiles and multiple incoming advanced anti-ship cruise missiles. The program is developing a suite that includes a new S-band radar capable of both ballistic missile defense and air defense as well as an X-band radar, the SPQ-9B. AMDR also includes the Radar Suite Controller, a new component that -- according to Raytheon -- will "manage radar resources and integrate with the ship's combat management system." As part of the development program, the Navy and Raytheon installed a prototype, single-faced AMDR-S/Radar Suite Controller with an SPQ-9 at the Pacific Missile Range Facility. The developmental radar was activated in September and on March 15, in a flight test dubbed Vigilant Hunter, searched for, detected and tracked a short-range ballistic missile target launched from the Hawaii test range. According to the Navy, AMDR will continue to be assessed this year as part of the Developmental Testing-3 effort against air, surface and ballistic missile targets. Eventually, the SPQ-9B which is a legacy system developed in the 90s will be replaced by a new X-band AESA radar. The initial plans were to develop a 3 faced AMDR-X but those have been set aside for a smaller set..at least for the DDG-51 FIII. The cruiser replacement will probably revive the AMDR-X concept since less number of faces would likely be required there and there is going to be more power available given that it will be a clean sheet design. An X band GaAs AN/SPY-3 AESA is mounted on the Zumwalt and the SPY-3 and SPY-4 combination on the first Ford Class carrier as part of the Dual Band Radar which the Navy does not want to pursue beyond the the first carrier. It is quite likely that Raytheon will offer either a GaAs version of GaN version of the X band component of that radar. Last edited by brar_w on 16 Aug 2017 18:52, edited 5 times in total. I believe there is an AESA based seeker Raytheon developed with the help of MIT Lincoln labs that it has been flight testing on a test bed for a number of years. An In depth article from the Royal Aeronautic Society on the F-35B and STOVL operations aboard their future QEC. Another US Destroyer collides with a merchant ship!!! USS john macain .. another ageis class destroyer collided with an oil tanker in Malaca strait near Singapore. It is starting to look really bad on US Navy! Yes and as with the Fitz. heads will likely roll if the cause points to the DDG crew. Last edited by brar_w on 21 Aug 2017 06:35, edited 1 time in total. Last edited by Prithwiraj on 21 Aug 2017 06:40, edited 1 time in total. Things happen hence it is left to investigators to determine the root cause and not simply go on coincidences or the spread of when collisions occur out at sea. If it were up to that there wouldn't be a need to investigate things and determine what was the cause. The current collision occurred at one of the most crowded choke points in the Asia Pacific region and as with the Fitz this will be looked at but much like anything else there may be no common thread between the two instances and it may be completely coincidental..on the other hand there may be common threads when it comes to lapses with the crew or training hence the need for an investigation and deep dive. Which vessel and the vessel type in general has little bearing on this. This instance happened in daylight and whether a small frigate, or a much larger destroyer navigation aids are of similar quality and this comes down to a likely human factor. The three officers on the Fitz. weren't relieved because it was a ship system's fault, they were set aside likely because initial investigations pointed to a human factor or a leadership lapse. What is more important right now is the SAR operation, getting her to port (she's on her way now), an investigation of fault, and making up for the lost capability in the COCOM. Loosing two Ballistic Missile Defense ships means that Adm. Harris will likely be seeking destroyers from other COCOMs to make up the deficit in case of tensions flaring up in the region and those vessels may not be configured appropriately for the particular AOR. AEGIS is the first line of defense in the shoot look shoot doctrine when it come to BMD umbrella over Guam, or Japan.